Interested in becoming part of the Fit2Finish team? Email Dr. Wendy with your responses to these questions @: fit2finish05@gmail.com or send us a Facebook message. 2. 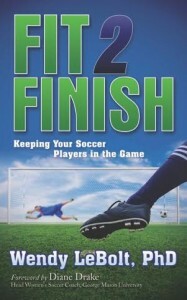 What interests you about Fit2Finish? 4a. What is your favorite moment in your own athletic experience? b. What is your least favorite moment in your own athletic experience? 5a. What one piece of advice do you have for kids in sports today? b. How would you show/teach them this without using words? 6. List 3 people (and their contact information) who would convince me I absolutely want you as part of the Fit2Finish team.